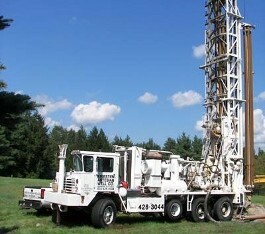 All reputable well drillers will get you water. Our difference is our pricing. You may save thousands on your well project! We allow you to pick the way you want to pay. No other well company does this! What do we mean when we say pick the way you want to pay? We offer a double sided contract. We will drill by a set contract price or by the foot. Most well contractors will charge a per foot price or a contract price, but not both at the same time. You choose how you want to pay AFTER the job is complete. THAT'S...THE KRIESTER DIFFERENCE. If you have a well that was estimated at 300' yet we only needed to drill down 200', we stop there! Obviously, in this circumstance it would be less expensive for you to choose the price per foot option. We want to help make your decision easier. For instance, we will tell you the depths of your neighbors’ wells so you can get a better idea of what to expect on your property. Our contracts are clear, easy to understand and lay out all our policies. No hidden fees, surprises or hard to understand contract language.